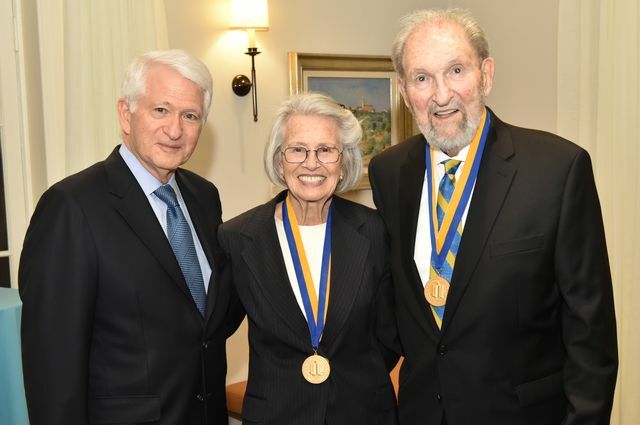 Chancellor Gene Block (left) praised Shirley and Ralph Shapiro for serving as models of UCLA’s service mission. UCLA alumni Ralph and Shirley Shapiro received the UCLA Medal, the campus’ highest honor, on April 2, at the Chancellor’s residence. Through the Shapiro Family Charitable Foundation, they have been prolific philanthropists who have supported medical and environmental research, as well as education, arts and children’s welfare programs, including initiatives that serve children with developmental disabilities and their families. The Shapiros have also been lifelong supporters of UCLA, having endowed more than 20 faculty chairs and contributing to programs throughout the campus. Their most recent gifts spearheaded the establishment of the Eric M. Zolt Chair in Tax Law and Policy at UCLA School of Law and extended their leadership support for research and scholarship at the law school’s Emmett Institute on Climate Change and the Environment. In 2018, the Shapiros and their children Peter and Alison gave $2.257 million to support four endowed chairs in the department of pediatrics at the David Geffen School of Medicine at UCLA. An additional $2 million gift from their Shapiro Family Charitable Foundation created the Shapiro Family Endowed Chair in Developmental Disability Studies at UCLA School of Nursing. Their generosity has been recognized in part through the naming of the Shapiro Fountain at the top of Janss Steps and the Shapiro Courtyard, which is adjacent to the law school building. 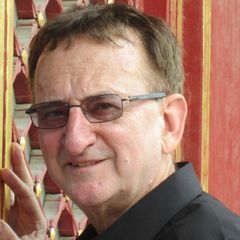 A leading Southern California investor, commercial real estate holder and philanthropist, Ralph Shapiro is the chairman of Avondale Investment Partners. He earned a bachelor’s degree in business administration from UCLA in 1953 and a juris doctorate from UCLA Law in 1958. Shirley earned a bachelor’s degree in education from UCLA in 1959. The Shapiros have each served on numerous advisory boards across the UCLA campus, including for the law school, UCLA Health, the UCLA Anderson School of Management, the California NanoSystems Institute at UCLA, the UCLA School of the Arts and Architecture, the Fowler Museum at UCLA and UCLA Women and Philanthropy. Ralph also is a member of the Centennial Campaign cabinets for UCLA, UCLA Law and the UCLA School of Dentistry. The UCLA Medal is bestowed on those with exceptionally distinguished academic and professional achievements whose body of work or contributions to society illustrate the highest ideals of UCLA. Previous recipients have been national and international leaders in government, education, science, industry and the arts, Nobel laureates and men and women who have advanced UCLA’s development into one of the world’s preeminent universities. Honorees include President Bill Clinton, UCLA alumnus and Los Angeles Mayor Tom Bradley, basketball coach John Wooden, U.S. Supreme Court Justice Harry Blackmun and UCLA alumna and technology visionary Martine Rothblatt. 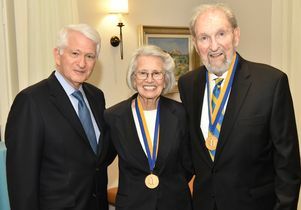 UCLA Chancellor Gene Block (left) with Shirley and Ralph Shapiro, recipients of the UCLA Medla.